During the trademark application process, entrepreneurs, technology startups, and other brand-owners seeking federal trademark registration through the United States Patent and Trademark Office (USPTO) may be required to submit a drawing of the trademark with their federal trademark application documents. The drawing, also known as a “mark drawing” or “representation of a mark,” is a clear depiction of the mark for which an applicant seeks federal registration. Every application must include a drawing of the mark, either in standard characters (all-text mark with no particular font style, size, or color) or in special form (design, graphics, logos, and/or color). The USPTO uses the drawing to file an applicant’s mark in the USPTO search records, to publish marks in the Trademark Official Gazette (TMOG), and to print on registration certificates. For brand names seeking trademark registration on the USPTO without a logo, the drawing will essentially be the typed out characters of the mark. For example, in a trademark application for the mark: PEPSI, the drawing will simply be P-E-P-S-I, a 5 character term. 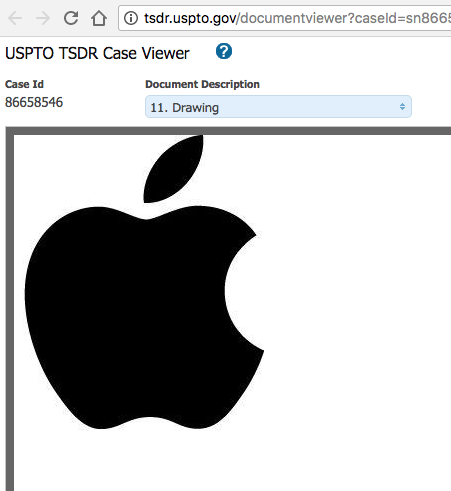 On the other hand, if a company wishes to trademark, for example, the Apple Logo (see image), the drawing will be a high resolution black and white image of the art files depicting the logo, in pdf form, with nothing else in the image. Applicants for federal trademark registration should take care not to confuse the drawing requirement with the “specimen” portion of an application. Specimens are submitted to show use of the mark in commerce in connection with the applied-for goods and services. For example, proof-of-use specimens may include screen-captures of an applicant’s website or images of an applicant’s goods being sold at an event. Unlike the drawing of a mark, specimens should include contextual elements of a mark’s actual use in the marketplace. Of the myriad branding considerations raised during the application process, the drawing requirement is simpler than most. However, incorrect drawing submissions could cause the USPTO examiner to issue an Office Action, responding to which might increase an applicant’s legal fees and delay registration of the mark. 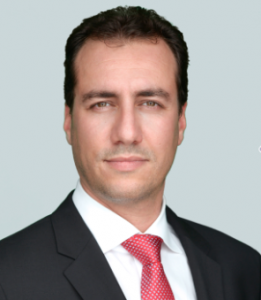 As such, applicants for federal trademark registration should always conduct due diligence and have a solid understanding of the relevant requirements prior to filing an application.